Figure 163. Type of Steel Rules. 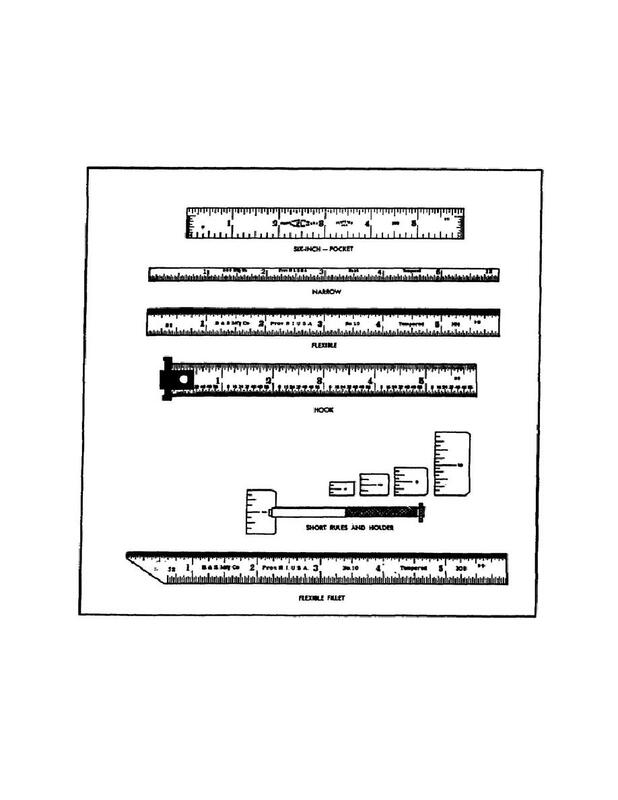 Home > Ordnance Documents and other related manuals > > Figure 163. Type of Steel Rules. across the end of the rule, facilitating measurement in restricted places. spring steel, permitting it to be bent over a rounded surface.